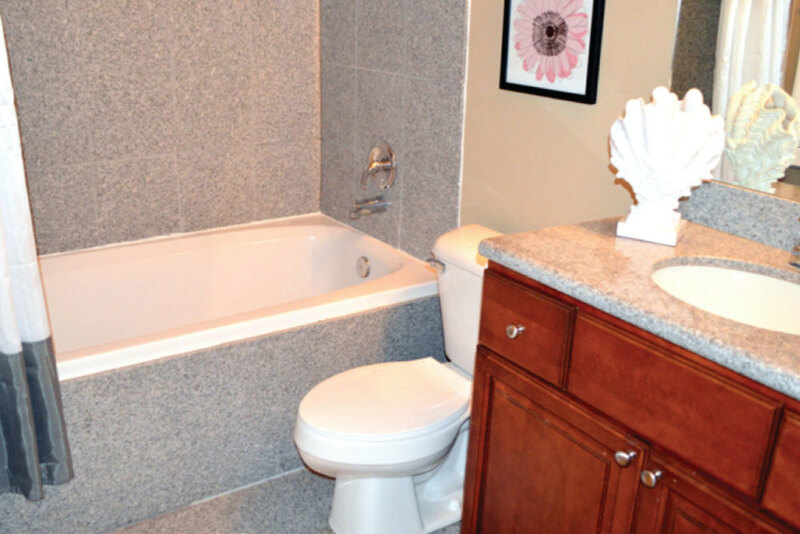 Luxury living in the desirable city of Maumelle, Arkansas! From the moment you arrive at Fountaine Bleau, you know you’ve discovered something special. 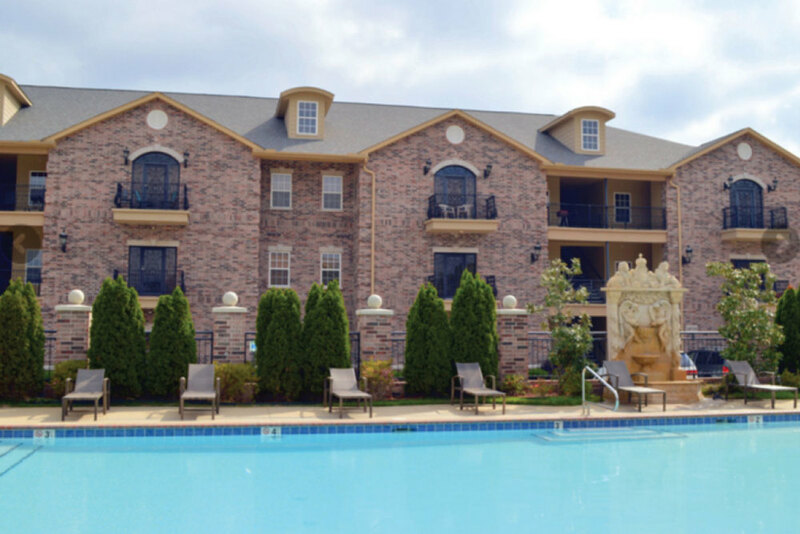 Located in the heart of Maumelle just minutes from downtown Little Rock, the Maumelle Country Club, and the Arkansas River, Fountaine Bleau delivers corporate housing guests luxury furnished apartments with high-end amenities. When you arrive, you’ll be greeted by our grand entrance with hand-carved, marble fountain. But that’s just the beginning – Fountaine Bleau pampers temporary residents with a beach-entry swimming pool, clubhouse with Internet café, a fabulous game room, a state-of-the-art fitness center, and an opulent movie theater complete with leather massage recliners. Step into a Fountaine Bleau furnished apartment and you’ll never want to leave! You’ll love the gourmet kitchen with granite countertops, the luxurious bathroom with granite tile and garden tub, oversized washer and dryer, a private terrace, nine-foot ceilings, a marble electric fireplace, outside storage, and all of those pampering touches you want in a truly elegant and comfortable home. Fitness Center: Fountaine Bleau features a one-of-a-kind fitness center you have to see! Our fitness center has 20 individual stations, weight machines, free weights, and dumbbells that will inspire you to new fitness heights. We also offer five pieces of cardio equipment, two spin bikes, and 17″ built-in televisions. Tanning Salon: The Fountaine Bleau tanning salon features a stand-up booth and a lay-down bed. And whether you choose to enjoy the 160-watt Heartland Tan “Sundazzler” or the exclusive Ergoline “Advantage” 400, you can enjoy a year-round tan when you live at Fountaine Bleau! Maumelle is a beautiful city located just northwest of Little Rock, Arkansas. It sits along the Arkansas River, directly across from Pinnacle Mountain State Park. Your new apartment at Fountaine Bleau will give you easy access to I-40, Maumelle Country Club, Lake Willastein Lake and Park, and the restaurants and shops of Pleasant Ridge Town Center in West Little Rock. Fountaine Bleau is also just minutes from the Arkansas River Trail, the Big Dam Bridge, and Maumelle Park.